I’m coming off a relaxing weekend at the beach. So be forewarned this post may be filled with coastal colors! 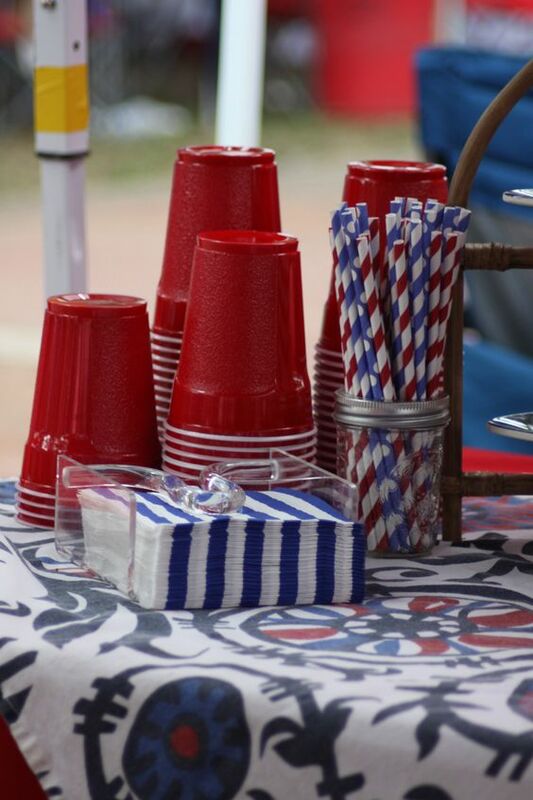 What’s your most favorite part of planning a party? Food? Décor? Games? I think the décor is my most favorite part with food coming in at a really close second. Party food let’s me experiment with all things good and bad for me. Décor? Well it’s calorie and carb free so bring it on! If you read my post last week then you know that I’m not having to do much in the way of decorating for my son’s upcoming birthday. However, my daughter, who celebrates her big day two weeks later is a different story. 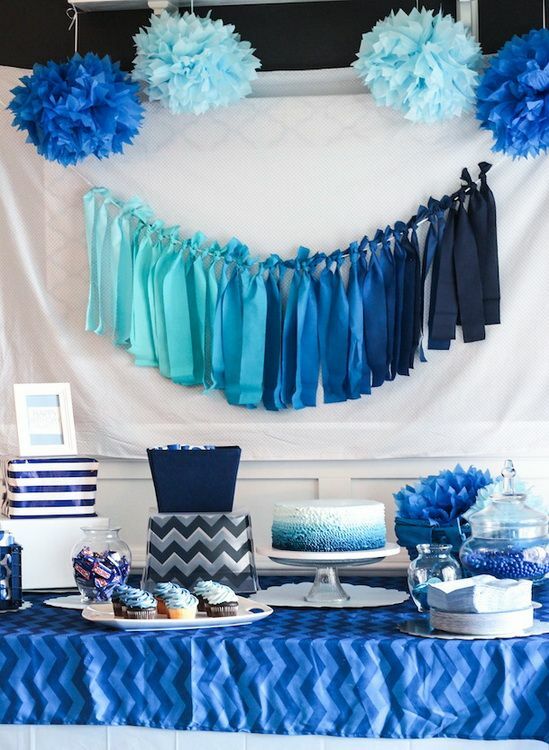 At first as I was formulating this post I was thinking I would share the ideas for her party decorations but then I thought – why not stretch the party decorating out to be good for more than just a kid’s birthday? Why not find some awesome looks for a party that could be held for practically any event – babyshower (I have one of those coming up) to a football watching party to maybe even a pumpkin party! Be prepared. That’s all I can finish out this intro with. Just like planning a room or a wedding you need to know what your base color is going to be. For birthdays this will help you with picking out your plates, balloons, and even foods you make! This year my daughter’s birthday theme will have blue as the central color. Why blue? It’s a police themed party. We all know the blue line! I decided to work with this color fo any other parties I am hosting this coming season. That means our football party will have a blue theme (that works well this is a Patriots household no matter what my husband tells you!.) Each year we host a pumpkin party and this year, instead of having orange and black (so cliché) we will be having a whole lot of blue. Trust me this will all come together! Thank You Intimate Weddings For this Insp! This is the perfect mix of feminine yet totally generic all at once. For my daughter’s birthday I will take out the coastal light hues and instead start with a mid-tone blue working towards navy. To add pops of color I am thinking that we will add in some golden yellow tones for that police pop of a badge color. 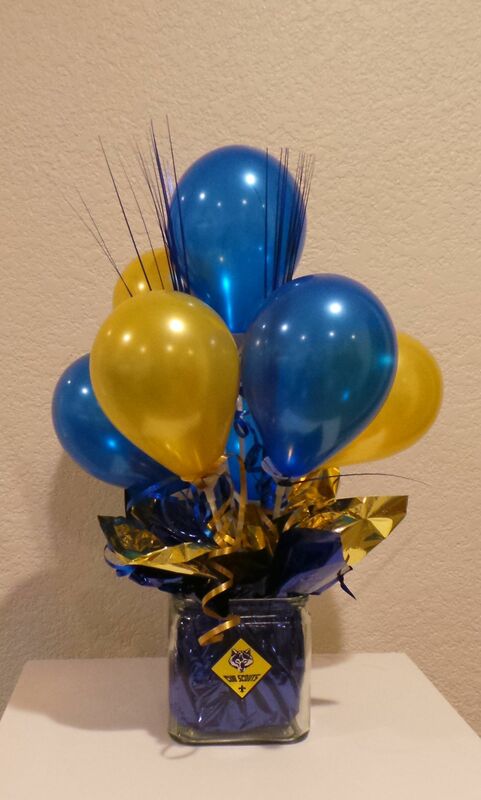 From Pinterest these scout colors would work perfectly and allow you to see the golden yellow with the lighter blue! 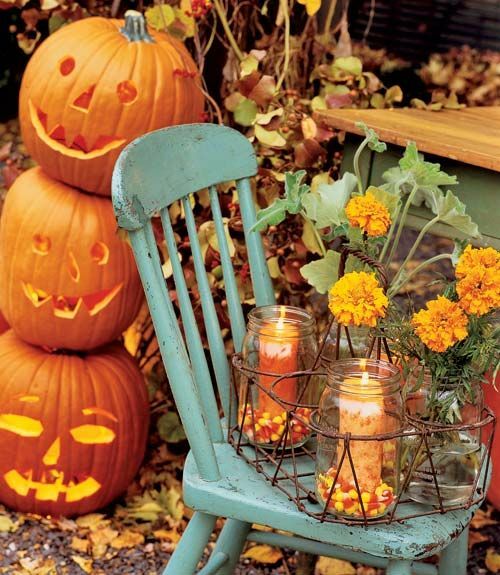 For our pumpkin party this exact same décor could be used but instead of golden yellow tones to accent I would like to feed in shades of orange. Gator fans just went overboard with delight. Country Living always has the sweetest ideas! I love the light blue with orange and have always been a sucker for it. I consider this my total inspiration for this year’s theme! However, I may need to darken my blue a bit since I’m getting a lot of the darker shades! This is actually from The Good South and it’s Ole Miss tailgating however the colors are the same and it just looks right! Now lets chat about the cost breakdown of carrying over the same color base for three different celebrations. You can buy your tableware in bulk and save $5-$10. You can reuse your décor. The accent pieces you can get pretty much anywhere – from the Dollar Tree to Walmart to a good second hand store. And it’s all so pretty! Next week I am too excited to talk about party food. I love a good party! Especially if Cake is involved! Great tips! I love a great party!! Planning parties is my favorite thing to do. I usually go a little overboard. Can’t wait to read your post about food!